In the middle of the nineteenth century, the rate of growth in Boston boomed as the land filling projects rapidly expanded the size of the city. 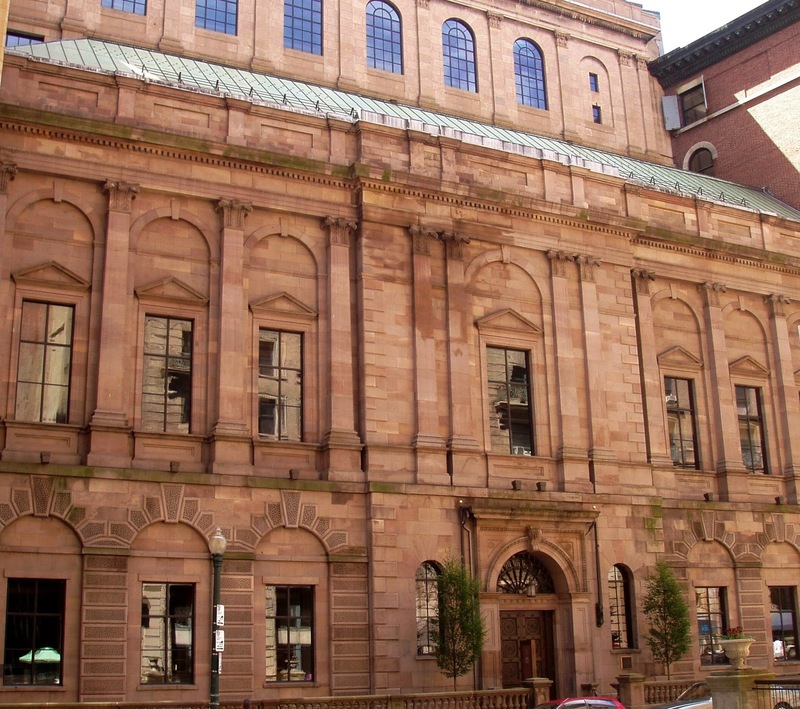 Along with this increase in population came a need for more culture, and one of the responses to this was the solidification of the Boston Athenaeum as the city’s leading cultural institution. 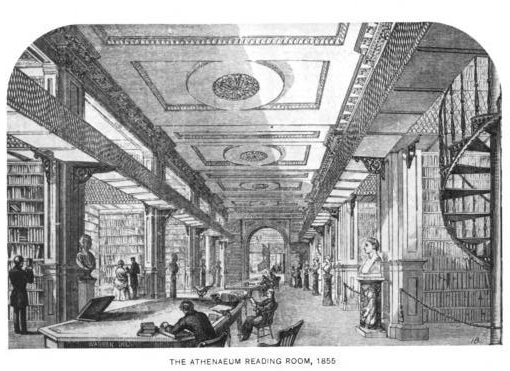 The Athenaeum was founded in 1807 to be a club for intellectual pursuits, modeled after the Liverpool Athenaeum and Lyceum in England. 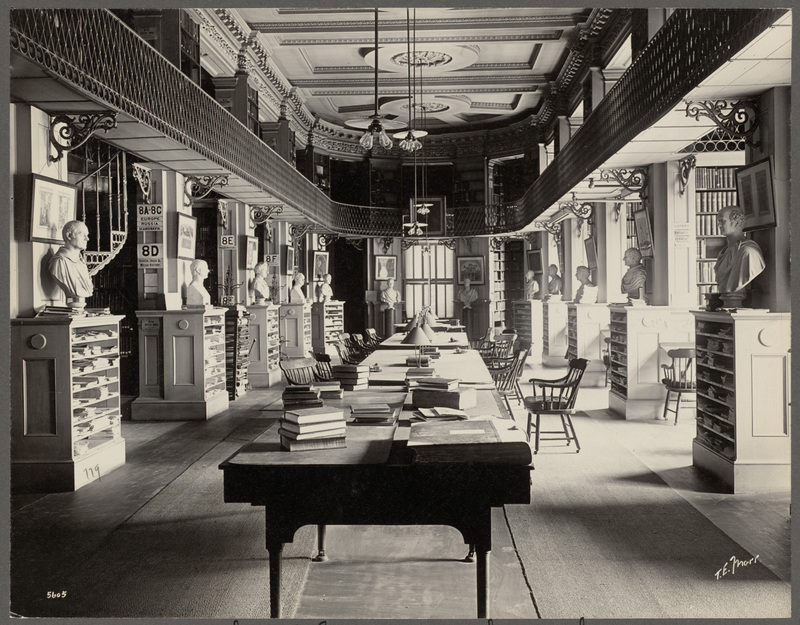 After expanding its collection from books to include sculpture, painting, and science, the organization grew out of several locations and eventually commissioned Edward Clarke Cabot, the architect of the Gibson House, to design a new building in Beacon Hill in 1847. 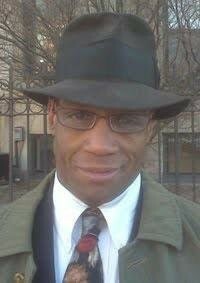 He implemented the Italianate Style, a kind of Neo-classical architecture that drew inspiration from the works of the Italian Renaissance and became popular in the United States in the mid-nineteenth century. The most distinctive architectural features of the building are characteristic of American Italianate design. Cabot’s use of pediments and Corinthian pilasters to form a clear piano nobile within a symmetrical façade is typical of the style. While they are more subtle, the quoins that frame the projecting central entrance are also characteristic elements. 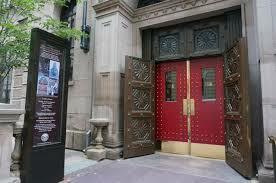 The entrance to the Athenaeum is one of the simplest yet most powerful moments in the building. The frame and the outer doors are elegantly carved, and the inner doors are covered in bright red leather that immediately signals a change in atmosphere from the bustle of the city. 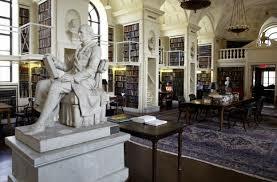 The interior of the building, like the façade, uses strict symmetry to establish an ordered environment in which to read and study. The barrel vaulted halls with impeccable rows of bookshelves balanced perfectly on either side instill a sense of gravitas to the space. 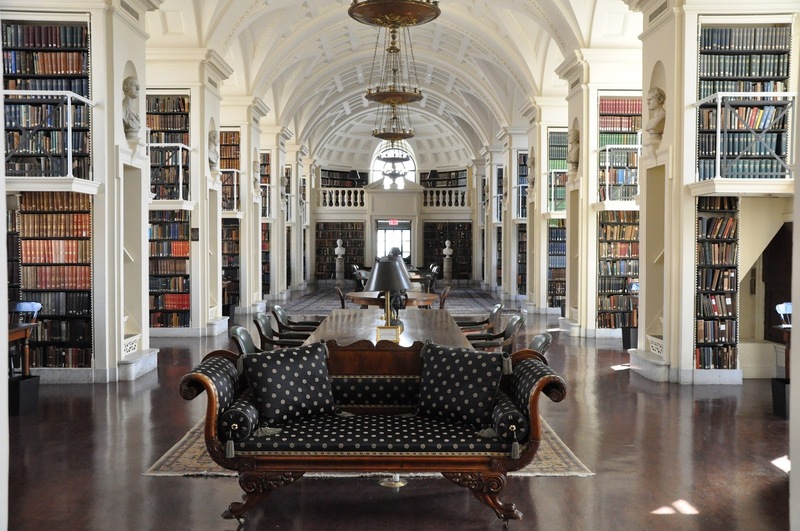 Although the strong Classical style of the Boston Athenaeum can at times seem repetitive, it is indubitable that it is appropriate for the purposes of the spaces in this building. The inescapable feeling of order has a powerful impact upon visitors that leads them to respect the seriousness with which the organization’s members treat their sanctuary, thus making the design quite successful in many ways. 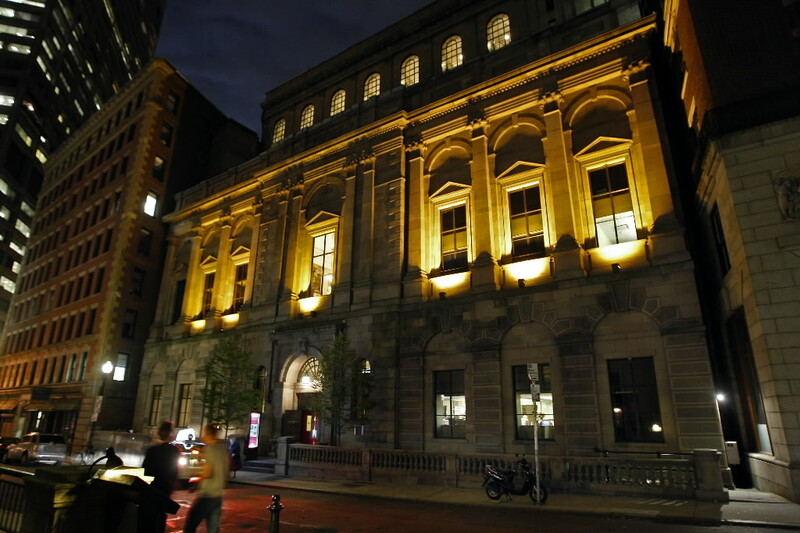 As a membership institution, the public has limited access to the Boston Athenaeum. The main floor is open weekdays during the day, so if you want to swing by to sketch click here to check the hours. To take a tour about the art and architecture of the building, click here to find information about making a reservation for a 3:00 tour on Tuesdays and Thursdays. The building is located at 10 ½ BeaconStreet, so the next time you are in Beacon Hill stop by to take a look.